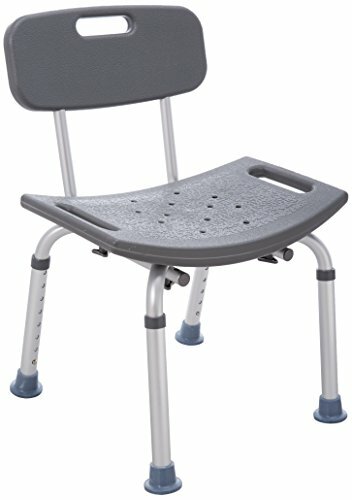 Medline health aid products have long had a reputation for quality products that are sturdy and dependable, including their line of shower chairs and shower benches. 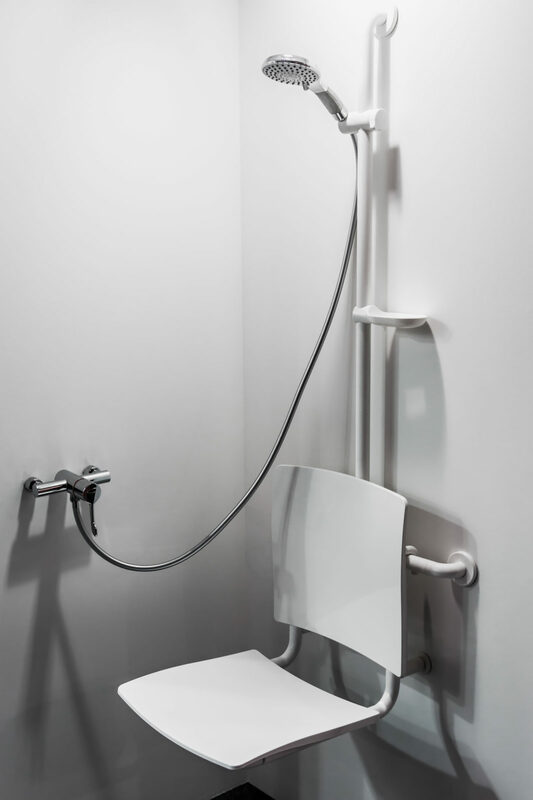 They offer several styles of shower chairs and benches to assist those with limited mobility. Each product has different features for specific needs and bath/shower configurations. The overall quality of Medline products is well known and is one of the best shower chairs and bath benches available in the market. 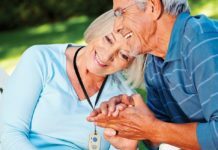 Their products are often used in assisted living facilities and physical rehabilitation units. They have high weight limits, well-made, and feature Microban which is an anti-microbial coating that minimizes the spread of germs and protects against mold and mildew. This is a shower bench that not only provides a stable seat in the shower or bath. It also helps those with limited mobility get into the tub without having to step over the edge of the tub. 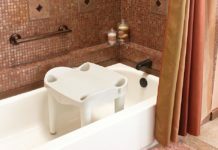 The extra side seat and frame make it easy for the user to sit down outside the tub. Slide over to the section inside the tub, swinging their legs over the tub’s side while sitting down. There is an armrest on the tub side that can be grasped for assistance when sliding over. The armrest can be attached to either side of the bench so that it will work for any tub orientation. There are two sets of legs, with one set that goes inside the tub and another that rests on the bathroom floor. Reviewers give the Medline Knockdown Transfer Shower Bench high marks for design, durability and stability. But some noted that this can’t be used safely on tubs with glass or sliding shower doors. Others appreciate the Microban protection and the light blue color, which make this seem less institutional for home use. The Medline Bath Bench with Back is one of the company’s best sellers. It is a standard-size bench, with a curved seat and a back for extra support. It features an aluminum frame with a hard plastic seat and back coated in Microban. The curved back and seat each feature elongated holes that are easy to grab and use for added stability when seated and getting in and out of the tub. It has a weight capacity of 300 pounds and weighs less than 10 pounds, making it easy to move. This Medline bath bench is designed to fit inside the tub. 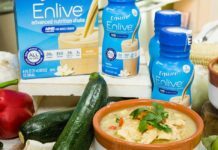 So it’s best suited for those who may need support but can still raise their legs high enough to step over the edge of a tub. The height is easily adjustable. Reviewers like this version of the Medline tub bench for its easy assembly – you just snap the parts together, without the need for tools. They also noted that the light blue color was a nice change from the usual grey or white. The curved seat and aluminum frame of this backless shower chair is very similar to the design of the bench with a back, and it also features the Microban coating. It has a 300-pound weight limit and features non-slip rubber feet to keep if firmly in place. 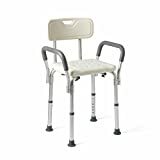 The curved sides offer an easy hand-hold when getting in and out of the tub.Reviews of this Medline backless shower chair frequently highlight the Microban coating, the light weight of 6.73 pounds, and the easily adjustable leg height. 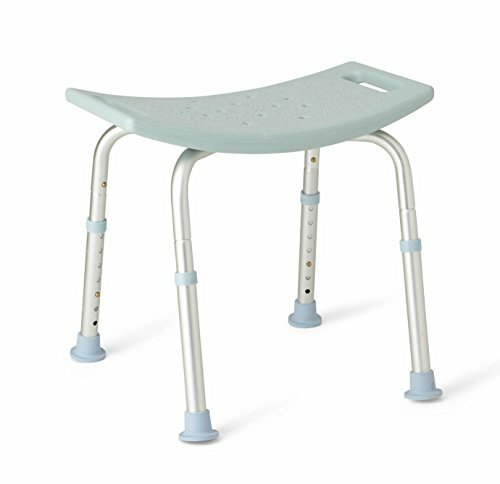 This is one of the simplest Medline shower chairs. It features snap-together assembly and fits firmly inside the shower on rubber-tipped legs. But it doesn’t have a back to it. It is crafted of aluminum with a hard-plastic seat that has side holes for holding onto as you get in and out of the tub. Height-adjustable legs operate by extending the legs and locking them into place with an easy, snap-through mechanism. 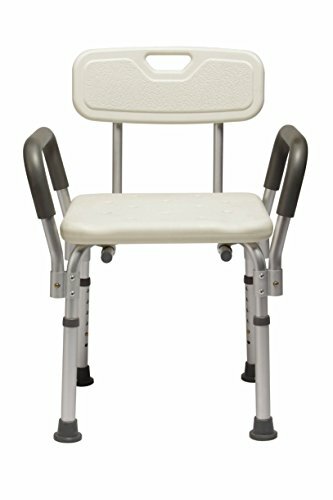 Medline Backless Shower Chair reviews mention the dark grey color of the seat and the slight curve, which makes the seat more comfortable than some shower chairs with flat seats. They also like the light weight (less than seven pounds), which makes it easy to take in and out of the tub if necessary. Some reviewers don’t like that it lacks a Microban coating. Interestingly, it’s about slightly less for these backless shower chairs compared to Medline’s similar style with Microban. The bariatric line bath and shower products are designed, as this one is, for additional support and stability for heavier users. The weight limit on the bariatric shower bench is 550 pounds. 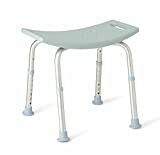 Thoughtful features include the cross-bars and suction-cup feet for increased support and stability. Like their other shower benches, the seat is curved for comfort and has elongated side holes for easy gripping. Despite the impressive weight limit, this shower bench still weighs just 7.85 pounds. 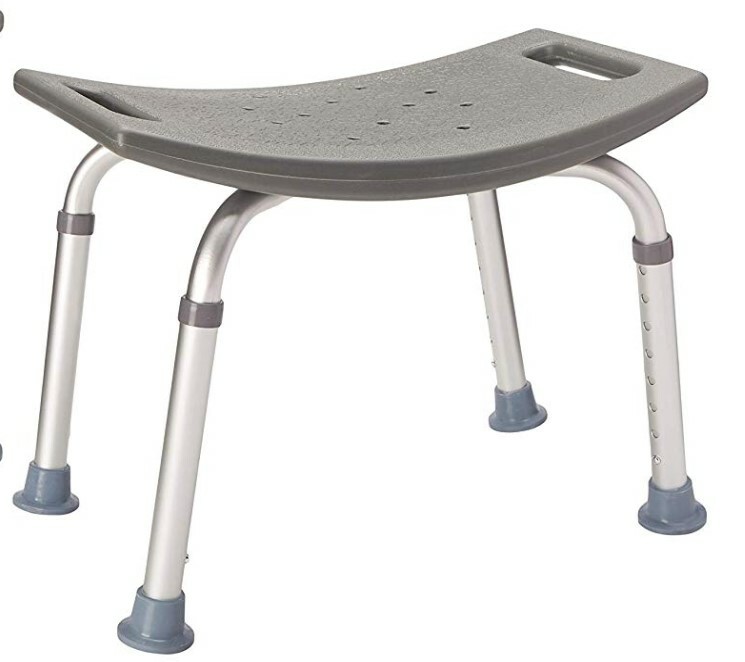 While most reviewers gave this shower bench high marks, a few noted that there is a tendency for the hard-plastic seat to crack with repeated use by anyone overweight, creating a pinching hazard. Some people need not only a solid seat in the shower and handles to use while standing and sitting, but the ability to rest their arms if they become easily fatigued in the bathtub. The arms are of the same aluminum as the frame legs, but are clad in a soft, nylon coating for comfort. The seat can be adjusted from 16 to 21 inches. The seat is not as wide as Medline’s benches, but it’s still relatively roomy at 13-and-a-half inches by 16 inches. Non-slip, rubber feet keep the chair securely in place. Reviewers appreciate the 350-pound weight limit and the curved handles. No sharp edges mean less chance of bruising if you stumble. You can assemble this shower chair without using any tools, and it’s lightweight and versatile. When assembling, you can include the back support and arms, or remove either one as the individual using it becomes stronger. This is an easy-care shower chair featuring a curved seat with grab-handles on each side and a slightly curved back that’s generous in width. 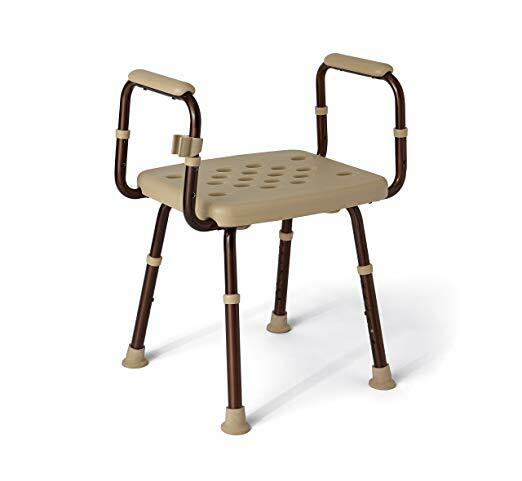 The legs are adjustable for a seat height between 13 inches to 20 inches and feature tight-grip, rubber feet. The seat and back are white, hard plastic. If you prefer, you can remove the back and use just the seat. You can order this chair from some sources preassembled if you aren’t able to assemble it yourself. 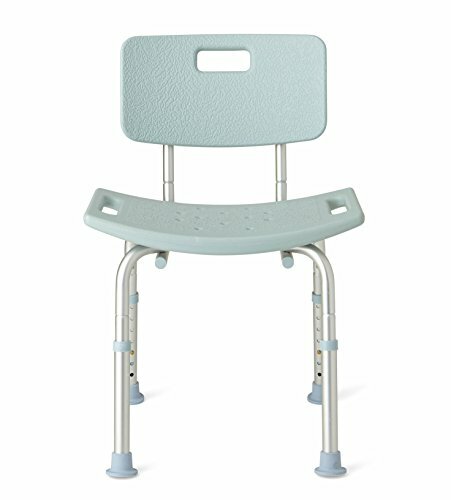 Medline Guardian shower chairs fair well in most reviews, although some people mention that if you need to raise this chair to its full height, the legs may rest partially on the curved sides of the tub. It’s worth noting that these reviewers said this didn’t present a tipping hazard; it simply wasn’t as leveled. Compared to the Guardian chair, the Medline Elements model has some distinct advantages. While also made with an aluminum frame and adjustable height, the seat and back are made of a softer material. The back distance from the seat is adjustable for more personalized lumbar support, for those with back problems. This is a Microban chair, which helps protect against stains and odors from microbes. The coating stands up to extended use without wearing off. 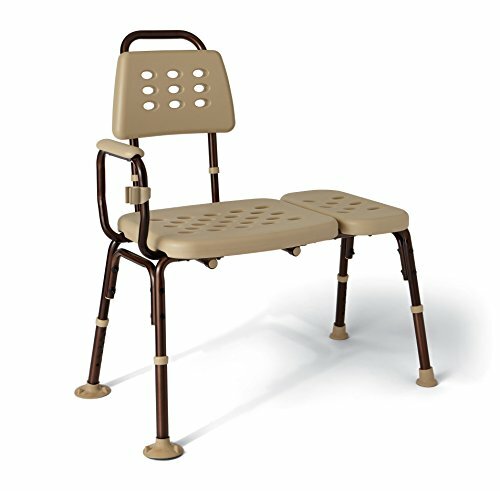 Reviewers love the warmer look of this chair, which has a dark bronze finish, while the seats and back are soft beige. Users also appreciate the extra width of the seat. 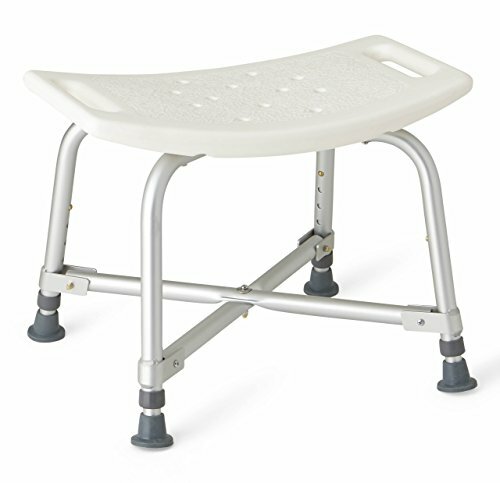 Medline Knockdown Bath Bench is ideal for anyone looking to purchase two or more shower chairs, as this model is sold in two packs. The price includes two complete chairs, ideal for a home with more than one shower or bath. 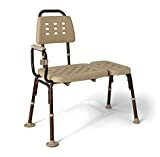 Standard features include a rust-resistant, aluminum frame and a hard plastic seat that is curved for comfort, and includes grip holds in each side. 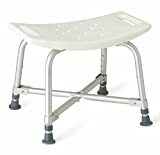 While there aren’t a lot of reviews for the Knockdown Bath Bench, those we’ve read note that this is an economical option that still has all the most important features for comfort and safety, including adjustable seat height, a durable frame, a 350-pound weight limit and easy assembly. 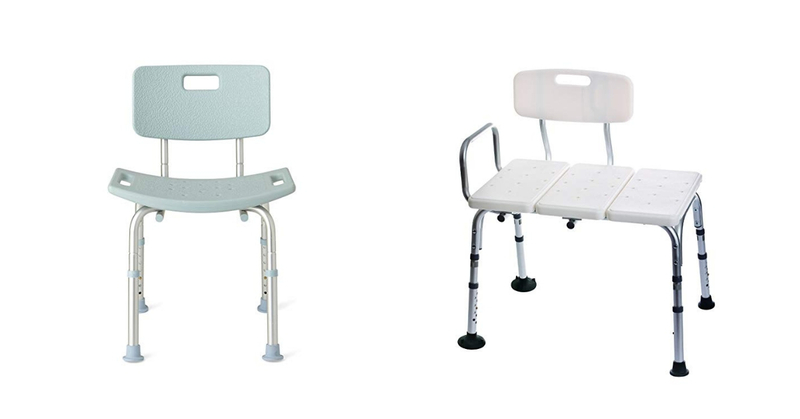 Medline carries a complete line of shower chairs and benches, all of which garner overwhelmingly positive reviews. Take the time to compare several models before choosing the right one for your home and the individual who will be using it. 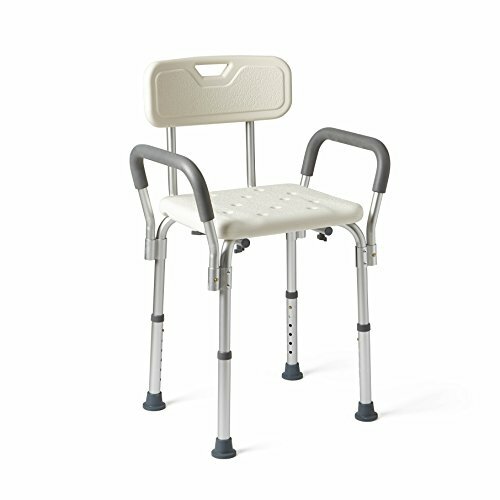 Medline Shower Chairs and Bath Benches offer several styles to assist those with limited mobility. Each product has different features for specific needs and bath/shower configurations. Most of Medline customers gave positive feedback when it comes to the design, durability, and stability of the product. However, there's a few who noted that there is a tendency for the hard-plastic seat to crack with repeated use by anyone overweight. Next articleInvacare Shower Chairs Review: Are They for You?